Florida’s rich culture and heritage, diverse ecosystems, and abundance of major cities make it one of the best states to explore. But unless you’re a local, you may never discover an area’s greatest hidden gems without a little direction on where to look. 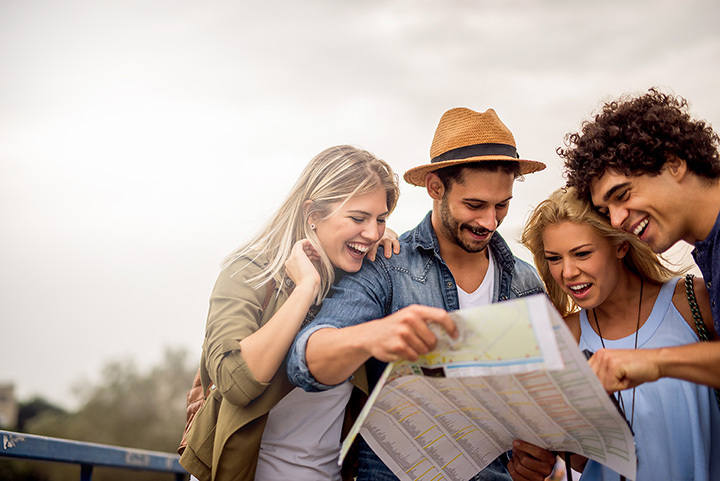 Sightseeing tours exist to help you get the most from your travels so you never miss out. Book a spot on one of these 10 best sightseeing tours in Florida and start enjoying life like a local. As the country’s oldest city, there’s no shortage of historical elements to glimpse in St. Augustine. Hop aboard the open-air trolley that winds through Old Town, past the Fountain of Youth, and other iconic landmarks to give you new appreciation for the city. You can get out and explore some stops and soak up all the local history. Hosted by Florida Dolphin Tours, this all-day tour takes you to some of the best spots in South Florida. Tourists will take an airboat ride, get up close to live alligators in the wild, visit Miami’s Art Deco scene, and end the day with some local flavor aboard a starlit dinner cruise. It’s a 16-hour adventure packed tour that will leave you with memories for a lifetime. The Thirsty Pelican offers tours of hand-selected breweries in the area (yes, visiting a brewery counts as sightseeing). The craft beer culture here is rampant and offers a flavor for every palate. You get to sample new-to-you beers and they do all the driving—they’ll even pick you up at your hotel! Experience Florida’s best sights from a completely different perspective. Climb aboard the old-style biplane and take off on a wild adventure that shows you Florida’s wonders from on high. This aerial adventure is unlike any other in Florida and gives you an experience you won’t soon forget. Some of Florida’s best scenery just can’t be seen from the street, which is why the Tropics Boat Tour company takes you straight to the water to discover hidden wonders. Dolphin sightings, sunsets, and the sparkling waters of the Gulf Coast represent the Sunshine State like no other icons. Fans love this tour because it’s a chance to experience a side of Florida that can only be explored via boat. This charming little town has been the backdrop of songs and stories for decades, representing the definition of Old Florida. The trolley tour here takes you through the oldest district of the island. You can exit the trolley to enjoy shopping areas, museums, and other points of interest. This sightseeing tour will make you work for it, but guests agree it’s well worth the effort. Visitors climb aboard a multi-person “bicycle” to pedal as a team to each destination. They offer a variety of tours, from sightseeing to bar crawls to food tours and more. Oh, and there’s alcohol aboard the vehicle to keep you motivated. Find additional locations in Miami and West Palm Beach! If you want to see some of Florida’s most memorable, photo-worthy sights, look no further than its abundance of wildlife. Wild Willy’s Airboat Tours takes you to some of the most little-seen areas, where eagles, alligators, and other animals abound. Make sure you bring your camera—you can count on seeing something worth adding to your Instagram feed. You’ve got your pick of some of the best tours in the Tampa Bay area, all from a single agency. If you want to discover all the city’s secrets, embark on the historical tour that shows you a side to the Bay area you may not have known existed. If animals are your thing, they offer a wildlife tour complete with hands-on experiences. Food tours, art district tours, and other sights give you plenty to choose from. If you’re not into walking tours, but like the benefit of being up close with the points of interest, the Segway tour in Sarasota makes the perfect solution. Each tour participant controls their own Segway through town with a master guide. You’ll soak in waterfront views, explore shopping areas, cross bridges, and see all the unique things that make this city fun and exciting.